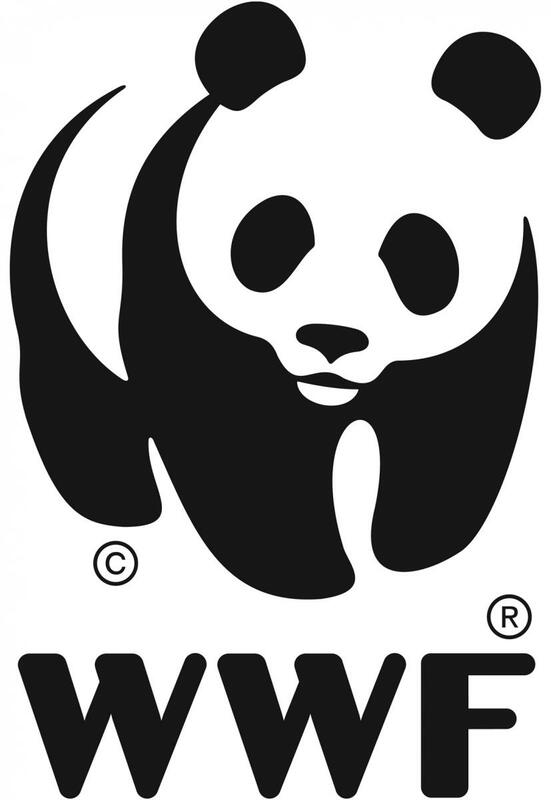 Mission objectives: Working in partnership with the World Wildlife Fund (WWF), the NOC deployed a submarine glider and an Unmanned Surface Vehicle into the Celtic Deep area of the Celtic Sea - the two robotic vehicles worked together to investigate why this area is particularly attractive to marine predators such as dolphins and seabirds. In collaboration with WWF, we explored the Celtic Deep – a hotspot for marine mammals, including common dolphins, harbour porpoises and the world’s second biggest animal, the fin whale. The area has many important benthic habitats too, supporting a variety of burrowing and seafloor animals. Currents in the area bring in nutrients from the deeper waters of the Atlantic and supporting a range of tiny creatures such as krill that form the basis of the food chain. The area is also an important spawning and nursery ground for many species of fish. It’s the complex structure of the food webs and the conditions in the area that appear to attract the giants of the ocean, such as the fin whale. The vehicles brought back data on currents, temperature and underwater noise, as well as images and video. This type of data is essential to inform the management of human activity in our seas and the conservation of key ecosystems. Below are some of the key species that we hoped to encounter. Common dolphins are social creatures that live in groups or ‘pods’ of around ten to thirty animals. These charismatic and intelligent mammals are found in coastal and offshore waters, preferring deeper waters and shelf areas, such as the Celtic Deep. Threats to dolphins include their accidental capture in fishing gear – known as bycatch, pollution of seas and human disturbance, noise pollution and shipping. 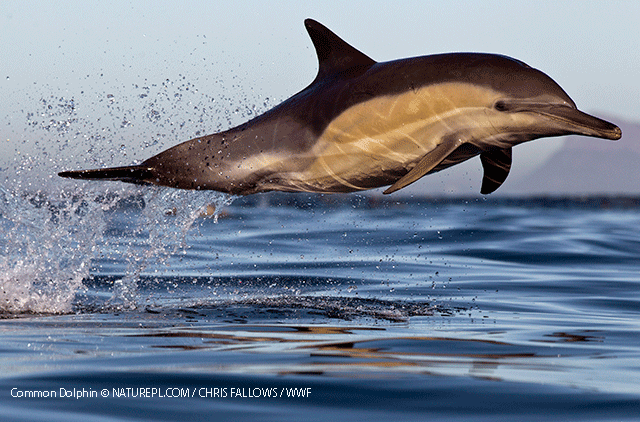 Dolphins play an important role in the ecosystem – helping maintain a healthy balance. They are a key indicator of the health of their environment because they are high up in the food chain. Common dolphins are protected under UK and EU law; under the Wildlife and Countryside Act 1981 and by the 1992 EU Habitats and Species Directive. The harbour porpoise is one of the smallest of the marine mammals. Porpoises look like smaller, more rounded dolphins, with blunt rather than pointed snouts. They travel in groups of two or three and are quite shy, but can most often be spotted in shallow water, especially harbours and bays, when they surface briefly to breathe. They are an important part of the food chain – preying on mainly fish and squid – and are themselves a source of food for some sharks and other creatures. 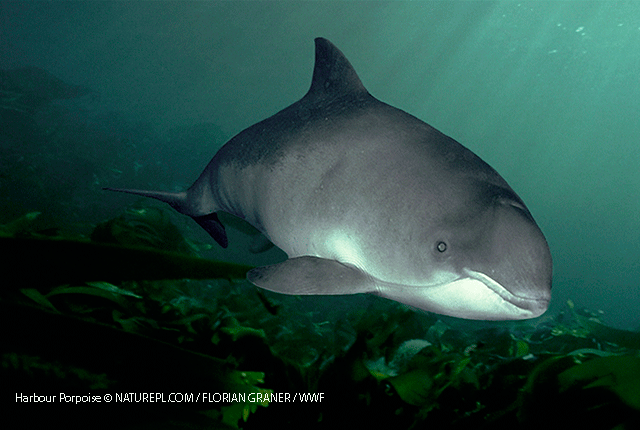 Harbour porpoises are a key indicator of the health of their environment. If there isn’t a healthy habitat with lots of fish for them to eat, they won’t be able to survive in an area. Harbour porpoises are protected under the Wildlife and Countryside Act, 1981 and by the 1992 EU Habitats and Species Directive. The Atlantic cod lives in deeper waters of the Atlantic Ocean. It is a hunter, preying on smaller fish species such as sandeels and mackerel. Cod has been an important part of our diet for centuries, well- loved for its flaky white flesh. The Irish Sea is an important area for spawning. Cod eggs are planktonic – becoming an important source of prey for other animals. Those that survive spend their first few years preying on small crustaceans on the seabed. They reach maturity at three to four years of age. 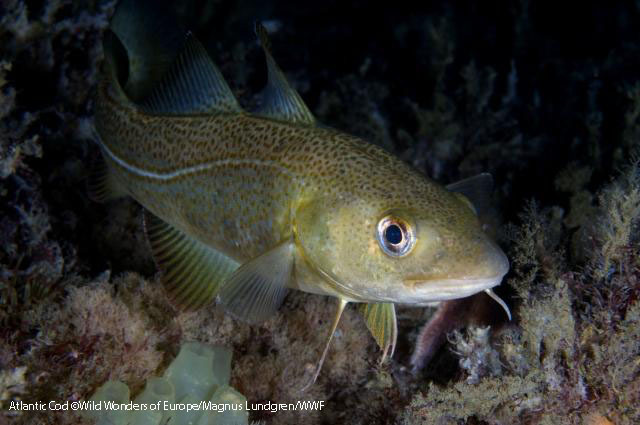 Cod stocks are carefully managed through European fisheries legislation (EU Common Fisheries Policy) in order to reach or maintain sustainable levels. Northern gannets are seabirds that can be found around the coasts of the UK with two-thirds of the world’s population breeding on our islands and coasts. They are the largest seabird found in our waters with wingspans of two metres. Gannets hunt for fish by diving into the water from great heights at speeds of over 60 mph and reaching depths of twenty metres. There are a number of important nesting grounds including St Kilda off the west coast of Scotland and Grassholm off the coast of Pembrokeshire in Wales. 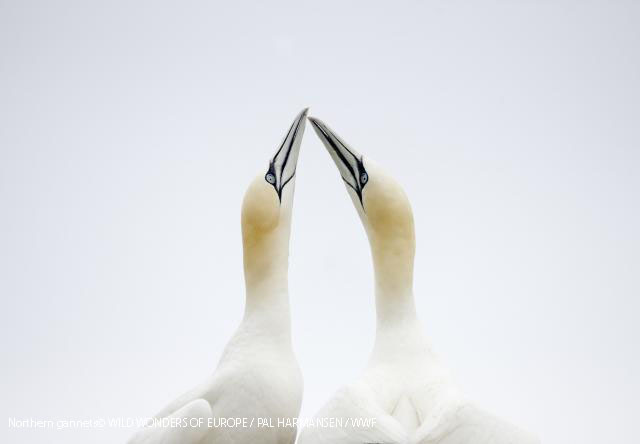 Northern gannets are protected under the European Birds Directive. The fin whale is the second largest animal on the planet, reaching lengths of 27 metres. It can be found throughout the world’s oceans except in the Arctic, though they seem to prefer coastal and shelf waters between the temperate and polar regions. 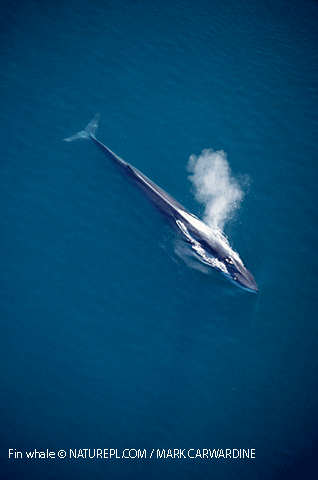 Fin whales are normally seen alone or in small groups, though occasionally larger aggregations are seen in feeding grounds. In late 2014 more than thirty fin whales were spotted together in the Celtic Deep representing the largest aggregation recorded in UK waters. Fin whales feed on species such as herring, mackerel, cod, squid, and krill. They filter huge quantities of seawater through their baleen plates to extract their prey. Fin whales are at risk from noise disturbance, climate change and accidental entanglement in fishing gear. They have also been found to bioaccumulate pollutants in their tissue. Fin whales are protected under the Wildlife and Countryside Act 1981, and the EU Habitats and Species Directive.